Happy Friday everyone! We made it through another week and the last Friday of August is here! Today is a bittersweet day as it's the last day for me at my current job and Monday I'll be starting fresh on a new career path with a great company!! There will be a few growing pains around here (mostly for myself as I get situated into my new routine- blog post anyone?! ), but I've been busy writing and have so many great ideas and posts ready to roll!! Enough rambling for right now, let's get to some favorites with Amanda and April. Having just finished The Royal We - which by the way is totally worth all the hype that it got - I was in the market for a new book. 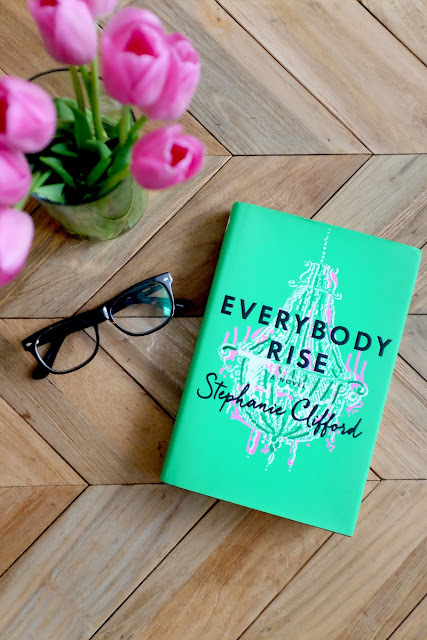 Thankfully this review of Everybody Rise came out and I knew I had to read it!! It's also been picked up to be made into a movie by the same producer as Devil Wears Prada! Have you read it yet?! It's been out for quite some time, but I can't stop listening to Fight Song, but Rachel Platten. I feel like it's perfect for anything going on in your life...wanting a new job, getting over a break up, thinking of making a change - it totally works to get you excited!!! I also love that my oldest niece and I jam out to this when we're together! I discovered that I liked Moscow Mules last year - late to the party on that one. 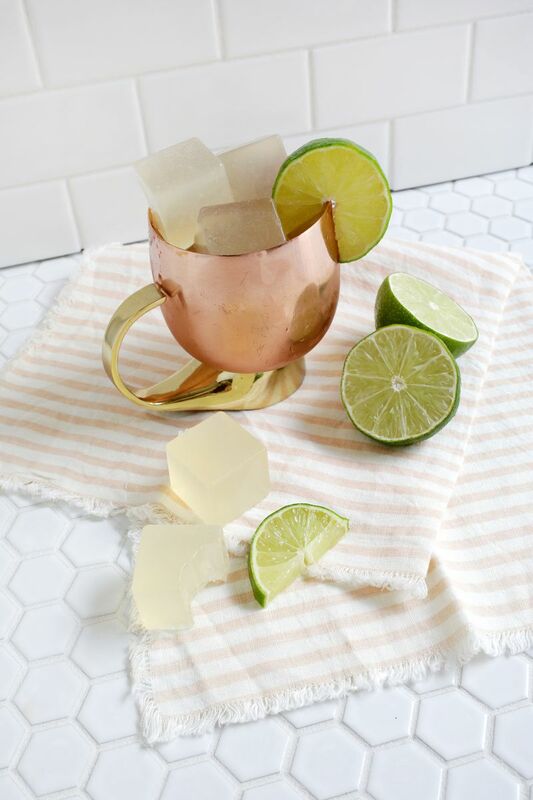 I stumbled upon this recipe for Moscow Mule Jello Shots - YUM! I add a lot of blogging related to my pinterest board, but hardly have time to read it, but these two posts were quick and easy to get through! 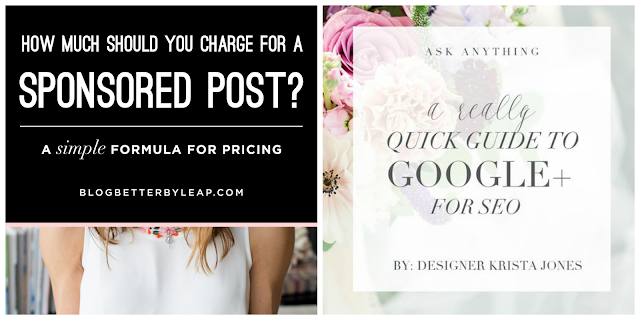 If you struggle with what to charge for sponsored posts, then read this! Easy rule of thumb! Similarly I have a Google+ page, but have apparently been using it the wrong way!! //New month means new wallpaper on my screens - love the flamingos! // Which celebrity has the best street style? // Listen to Rachel Zoe go through her resume - you never know where your passion will lead you! Hope you all have a fabulous weekend and I'll see you back here Monday for weekending! Love your favorites and how you have them set up! I agree that song is AMAZING! I need to add that book to my must read too. Well I officially know the next book I'm downloading, thank you B! And I only recently discovered I like Moscow Mules too but they are amazing! So refreshing. And yes to a new wallpaper! Love the flamingos too, so cute! Happy Friday love! I keep ordering Moscow Mules because I like the pretty cooper cups they come in (lol) but I'm not a huge fan of the taste!! I basically already opened every tab is this post to read so I'm off to do that now :) Happy Friday!! Great roundup of links Biana! I will have to check out those Jello shots. That would be so fun for Labor weekend! Have a good one! So exciting about your new job, I can't wait to hear more about it. I know you will be great!! We love Moscow mules and holy cow those Jell-O shots look so yummy and refreshing. I hope you have a great weekend lady! Prayers as you begin your new adventure in the work world! But until then, live it up this weekend with live and lots of laughter!!! Great blog tip links and new Jell-O shot recipe....woohoo!! Happy Friday you fantastic and gorgeous girl!!! Congratulations on the new job! Love the idea for Moscow Mule jello shots!! Those are two great blogging articles too, thanks so much for sharing! Have a wonderful weekend! Starting a new job is always such an exciting time!! Oooh so glad to here The Royal We lived up to expectations! I definitely want to pick that up next to read! Good luck on getting in your new routine. Changes always take a bit to get use to but sounds like you are ready to tackle it all! I've been a little late to the Moscow Mule party too, but I love them so much! They're the perfect refreshing cocktail for summer! That flamingo wallpaper is so adorable! Congrats on the new job!! I should definitely read the Google+ article I never even touch m page... oops. Happy Friday! I just bookmarked that book to read! It sounds so good! Heading to checkout those blogging tips! Congratulations on the new job lady!!! You are going to do GREAT!! :-) I love Rachel Zoe and follow her on Instagram. Her kids are the cutest too. I just tried a Moscow Mule like a month ago for the first time, they are good. That song is good too, I hear it a lot at the gym haha. Anyways, have a fab weekend!!! ah congrats on the new job!! so exciting! it's definitely nerve wracking but it's also one of those moments like "the world is your oyster" hehe. so true. love that song still - and you're right - its perfect to get you motivated and pumped up! happy friday love! Thanks for the book rec! Will definitely download that! Love the blogging articles too! Happy Friday! I am obsessed with that song! It's almost on constant replay in my head! Good luck next week at your new job. I saw those jello shots yesterday too and immediately pinned! Moscow mule is my favorite drink so I will be making them for sure! Those jello shots look amazing, lady! And I need to try that book, it looks lovely! Happy Friday beautiful friend. I haven't even thought of the word "jello shot" since I was about 25! Hahahaha! Moscow Mules are delish though. I absolutely can't STAND that song, lol! Dallas is a new music market, so we get songs on our radio before most the county (maybe to test how popular it will become?). I've been listening to that dang song every three minutes for the last 6 months and would pay to never hear it again! Moscow Mules are my favorite drink! In fact, some friends just gave me copper mugs for my birthday. Don't feel bad...we just starting drinking them this past NYE! Best of luck with your new job! Awe, it's always bittersweet saying goodbye to something you've known for so long and starting new, but this will be a great new adventure for you from the sounds of things! GOOD LUCK! I'm so happy for you! Happy Friday!! Fight song is such a good anthem - I can always rock out to that one! 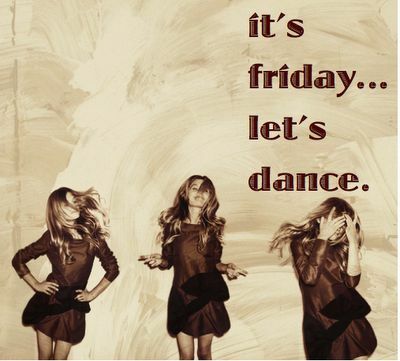 Have a great weekend girly! Congrats on the new job!! I am going t ohave to look up that book. I loved the Devil Wears Prada so I feel like it's got to be good! Oh these were great and especially the Rachel Platten song! I have always loved songs that empower women (even women like me who are OLD!!) It is beautiful and inspiring and I need this right now. Thank you for sharing! Oh and your niece is lucky to have such a hip/cool Aunt! Yeah!!!! Enjoy this weekend girl so excited for you to start your new career path! I am all about the moscow mules with Tito's of course. Adding that book to my hopeful Summer reads! Fight Song came on in my spin class the other day! I love it too! Oh my goodness that's exciting about your new job girl!!!! So pumped for you! I'm sure this is a bittersweet day, though. Have a fun weekend!!! Congrats on the new job! I hope your first day goes well on Monday! The moscow mule jello shots sound delish and I love the pink flamingo background! YAYYY!!!! So glad you loved The Royal We. That makes my heart so happy, you have no idea. I hope they write a sequel. Definitely checking out Everything Rises. Love Fight Song! I am so late to the party but I have been jamming to it for the past week. and by Everything Rises, I mean Everybody Rise. Der. Congratulations on your new job! (And good luck!) Enjoy your weekend! Good luck with the new job!!! I'm loving at Mule Mug! ...and I'm definitely checking out that Google+ article!!! Congrats on your new job girl, that's so exciting!! And OMG those Moscow mule jello shots?!? I need those like right now. One of my favorite drinks ever :) Happy Friday and enjoy this weekend! Yes to those jello shots! Thanks for the fun reads - hope you have a great weekend girl! I just finished The Royal We too and it was so good! I'm so sad it is over! I love Fight Song! It's a surprisingly awesome workout jam! YAY for your new job!! Good luck!!! :) That book is pretty just to look at, haha- I think that means I need to read it! You know me, totally checking that book out!! That song was my sister's song for all that she was going through, such a powerful song!! Happy weekend, girly!! Congrats on the new job!! Can't wait to hear all about it! :) And I'll definitely have to add that book onto my to-read list....it just keeps on getting longer and longer haha. Does that mean you're done with the wedding planning business? You seemed to really enjoy from Instagram posts! Good luck at the new job!! Here's to new and more exciting opportunities. Reading that Google article now! Have a great weekend, Biana! Congrats on your new job, lady! I really want to read Everybody Rise-can't wait to hear what you think of it! Moscow Mule jello shots! Yum!! Good luck with the new job! I'm excited for you :) Have a great weekend, Biana! Happy friday dear and it's a beautiful day too, congrats on your new job and I wish you all the best. If you're feeling lazy, there is a decent canned version of the Moscow Mule. I think it is made by Four Loko. You've already sold me on that book just with how nice the cover is! The Royal We is next up on my reading list - I ordered it for vacation but it came too late. I still haven't tried a mule but my husband loves them - I need to try out those jello shots though! I want that book just because it's pretty. haha Like decor pretty maybe? (; For real though, read The Devil Wears Prada and saw the movie, totally a classic. Have a great weekend Biana! Congrats again on the new job lady!!!! I will have to check out those books you recommended. Would you believe I have yet to try a Moscow Mule??? I need to correct that ASAP! When I think about them, I am always somewhere that doesn't offer one. Hope you have a fabulous weekend!!! Congratulations on the new career! Good luck! Wishing you all the best on your new adventure! I love Moscow Mules too, sounds like a fun way to enjoy them. I've been looking for some new books to read, I will definitely be checking these out. Happy Weekend to you! Another great roundup! Hope you have a great weekend! I agree, love Fight Song! I always crank it up and sing it to the top of my lungs when I am driving ;) Happy weekend!! I love that song too! Until I looked it up I always thought it was Taylor Swift. So checking out the sponsored post link and the free backgrounds. I can't get enough flamingos in my life. Happy weekending! LOve this blog! Summer goes too fast! That drink sounds so yummy!!! I loved The Royal We, I'll have to check out the one you mentioned - I haven't heard of it! Goodluck at the new job!! Congrats on the new job, lady! I'm sure you will do great and succeed at anything you do. :) I always love your book recommendations - I'll add this one to my Kindle list for sure. I am off to listen to the R. Zoe resume ... Hope you had a good weekend! I haven't read Everybody Rise, but I have it on hold at the library. I'm still 4th in line for it, so it'll be awhile before I get to read it. So crazy that you just mentioned Moscow Mules. I had no idea that they were a thing until last weekend when I tried one! And now I am hearing about them again! I've never heard of Moscow Mules, but I will see upon trying it! It looks very delicious. At first, I thought it was some kind of a mock-up margarita. Is that how it would taste like? I think we need to be friends...all of your favorites are my exact favorite. Especially MOSCOW MULES! That's my go-to drink at bars, forever and always! Congrats on a new job!!! Congrats on the new job!! So excited for you! And, mule jello shots…yes please! Congrats on the new job! Hope you are loving it. And I love that song! It's such a jam! I love fight song! Thanks for the book recommendations!